Are you a plant killer? 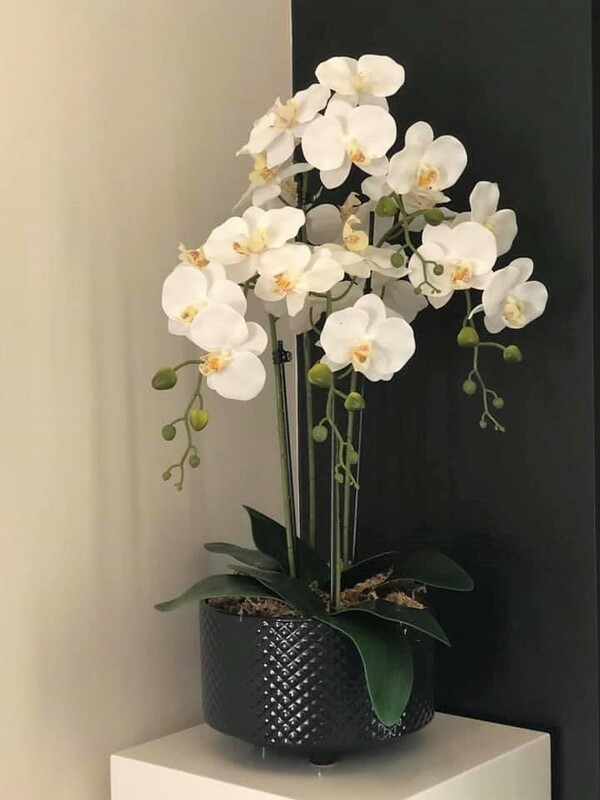 I admit, I have lost my fair share of indoor plants over the years but I believe I’ve found a solution … this stunning pot of Phalaenopsis Orchids! It’s absolutely gorgeous, isn’t it? And … I can’t kill it! I can’t over water it, I can’t under water it, and I can’t sit it in the wrong position! That’s right … it can sit in direct sunlight, no sunlight – put it anywhere you like! What’s my secret to my newly found ‘green thumbs’?? 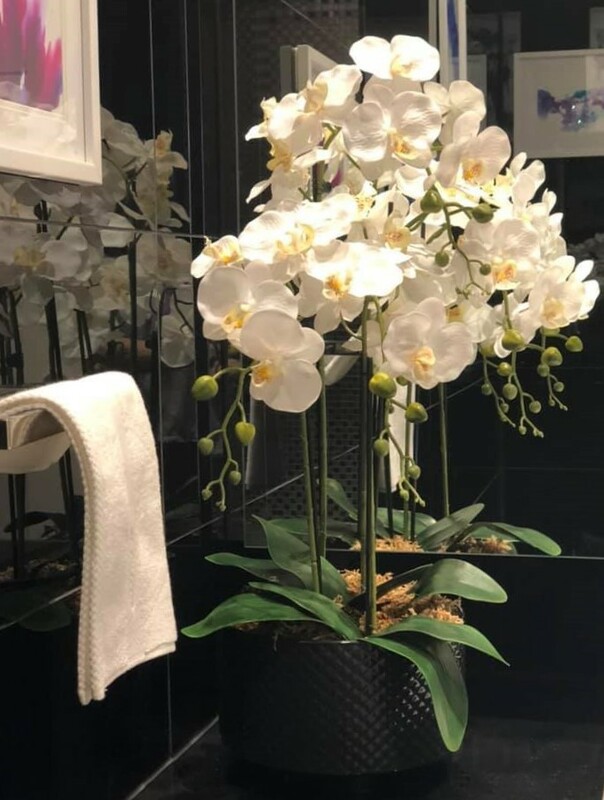 I’ll share it with you, so you too can have a gorgeous pot of orchids on display that you won’t be able to kill either! You are going to have to get yourself to Kmart and grab a few items! That’s right …. This beautiful display piece is made from items I purchased in Kmart! 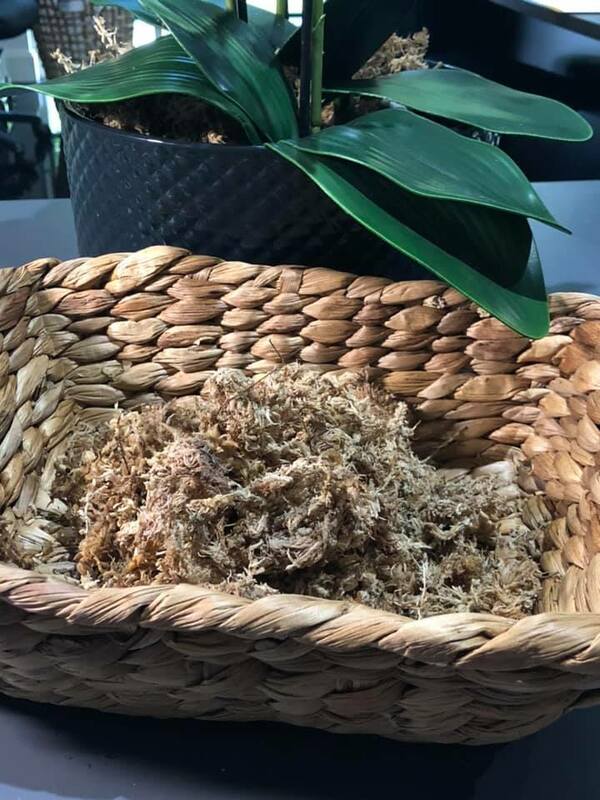 If you want to finish it off like mine, and give a more real ‘vibe’, then you can also go to Bunnings and purchase a block of Sphagnum Moss – $ 10.48. 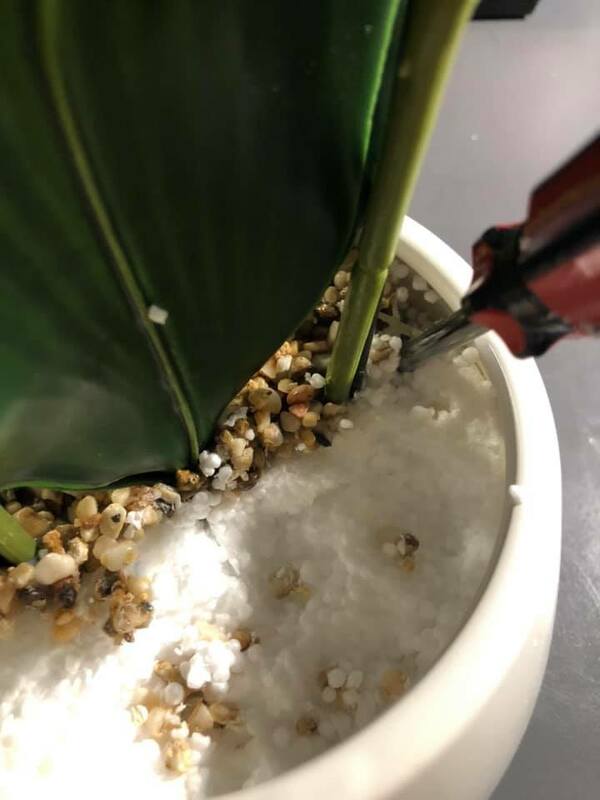 These Orchids come glued into their pot, but it’s not too difficult to use a screwdriver and gently dig around the edges and carefully lift the little pebbles and the styrene foam underneath. 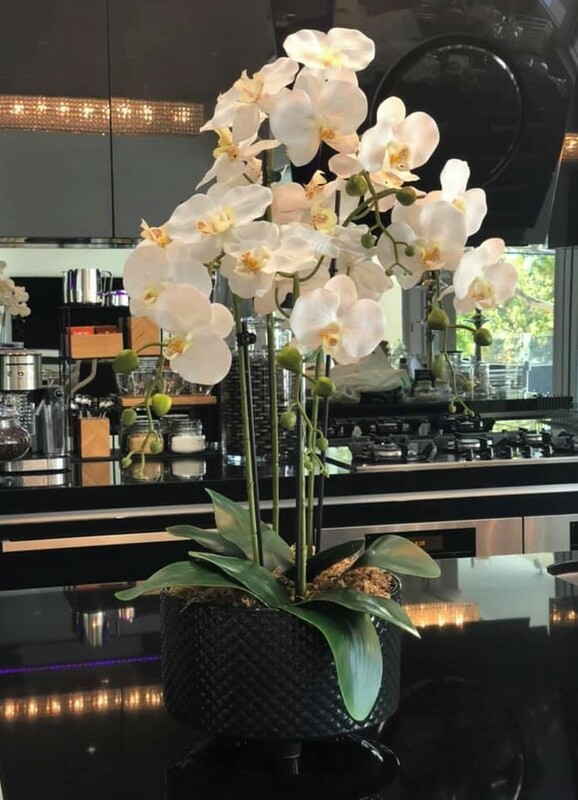 Only remove ONE orchid from it’s pot, leave the other one intact. Once you’ve got the two stems and the set of leaves out, it’s time to get your hot glue gun and put it to work! 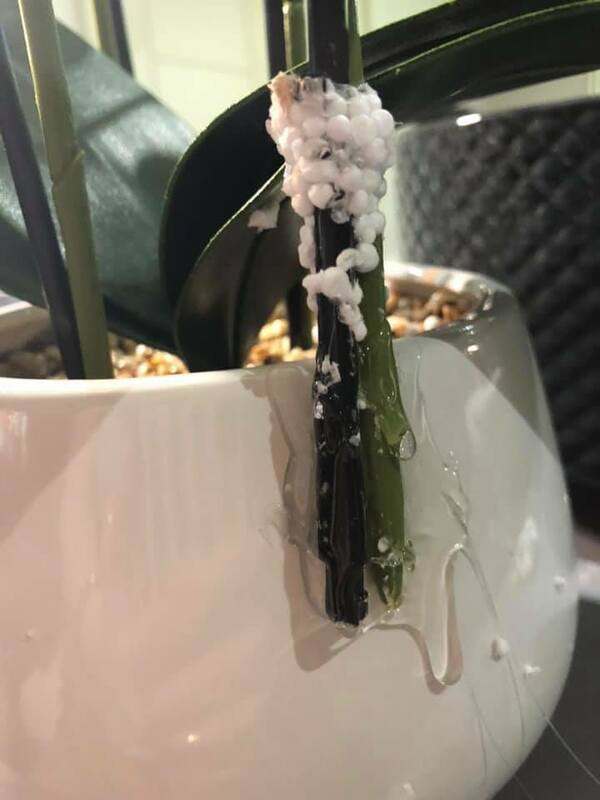 Using the Orchid that’s still in it’s pot, place the loose stems on the outside of the pot in a nice position, and attach it using hot glue. Hold for a few seconds and it should be stuck fast! Honestly .. DO NOT worry about how messy it looks .. you just want it glued on firmly! In fact, it’s so hot here today, I didn’t even worry about removing all the styrene foam off this stem … you’re not going to see it later! 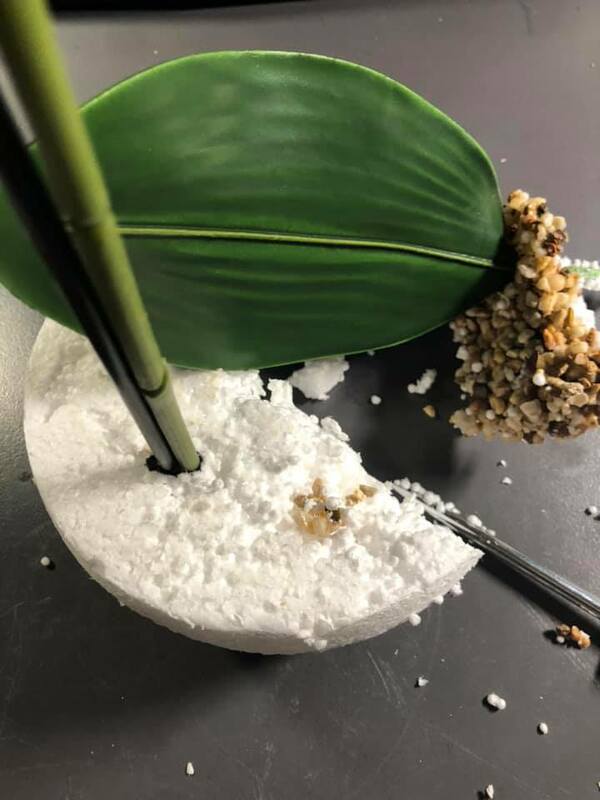 All you have to do now that your stems are attached is sit the pot inside the Diamante Pot, and sit the set of leaves at the base of the glued on stems. For a more realistic look, add some Sphagnum Moss around the base of the stems and under the leaves. 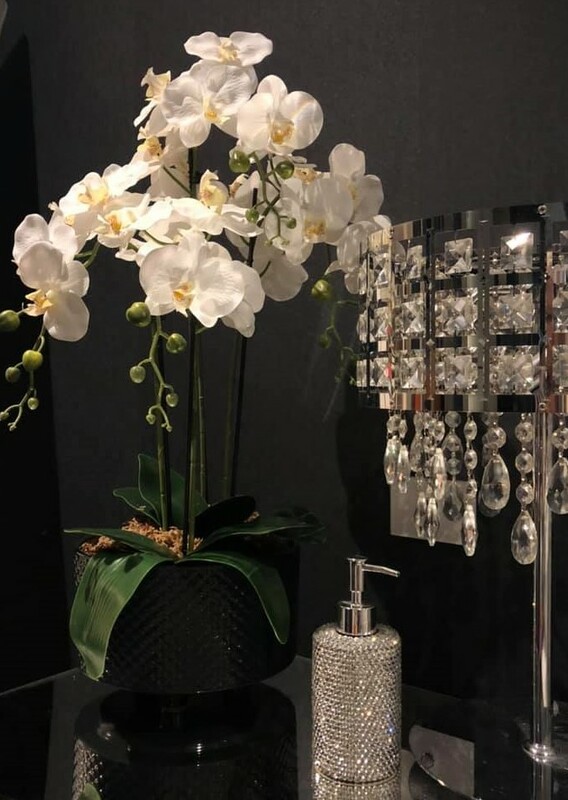 The final thing you’re going to want to do before you proudly display it, is to bend the leaves, stems and flowers into a position that suits your eye. 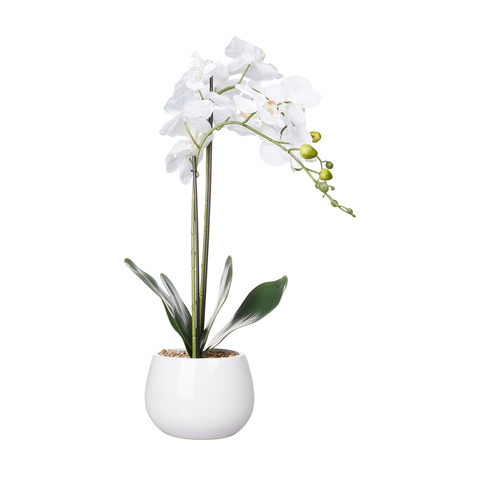 You can fill any gaps by gently bending a stem, turning a flower, or moving some leaves! 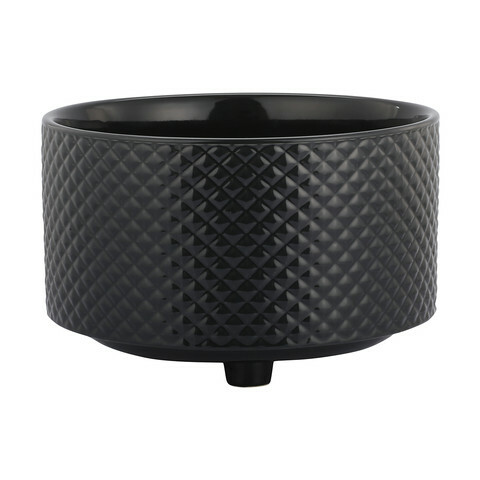 The hardest thing about making this stunning planter is deciding where to put it! Bathroom, Entry, Bedroom, Dining Table Centrepiece, Laundry … the possibilities are endless! For now, I’m loving it on my bedside table!! I hope you like this easy project – there is nothing better than something that’s super simple to do, but the results give you maximum impact! This one certainly fits that!! Don’t forget, if you make this, use the #kmartstyling hashtag in your social media pics so all our followers can see it as well!